Managed to get through the first week back at work… I’m normally really good with making my lunch for work so I’m not tempted by the cafe downstairs but when I woke up on Friday I realised we’d already gone through all our salad type ingredients so there wasn’t much left for lunch. 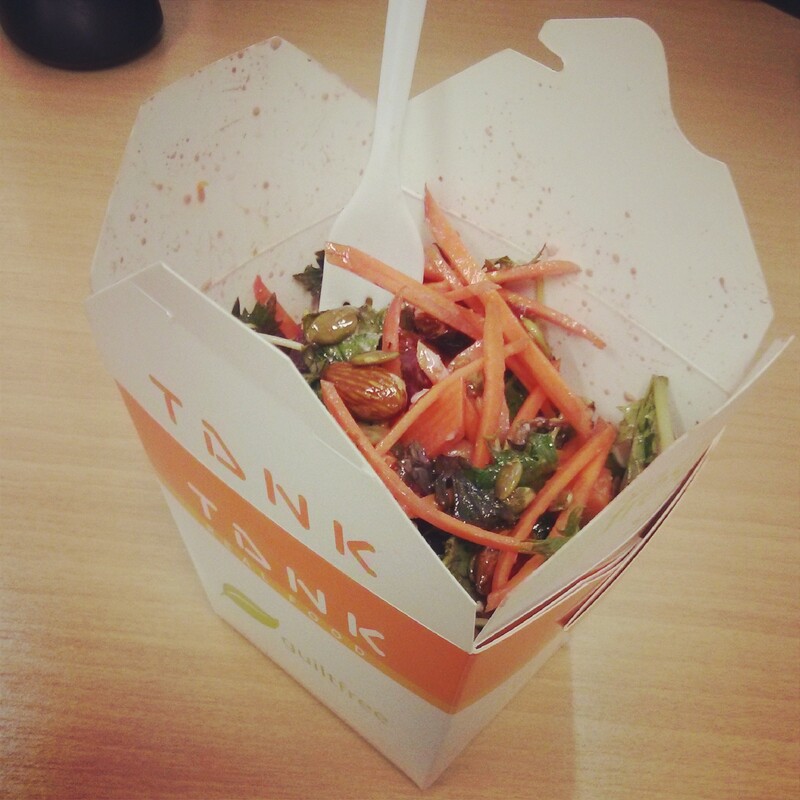 I remembered Tank had just opened at the mall down the road so I went for a wander at lunchtime. I got one that had roasted vegetables, feta, seeds and almonds – I wasn’t expecting the almonds to be whole, or so many of them but it was delicious. Friday’s are planned as my rest day but it’s not usually a complete rest – especially when Kate’s homework includes 20mins of exercise per day! I decided to make use of the home gym area again tonight, I ticked off the 3rd of 4 circuits I need to complete for the week and did some extra exercises to make it past the minimum 20mins. 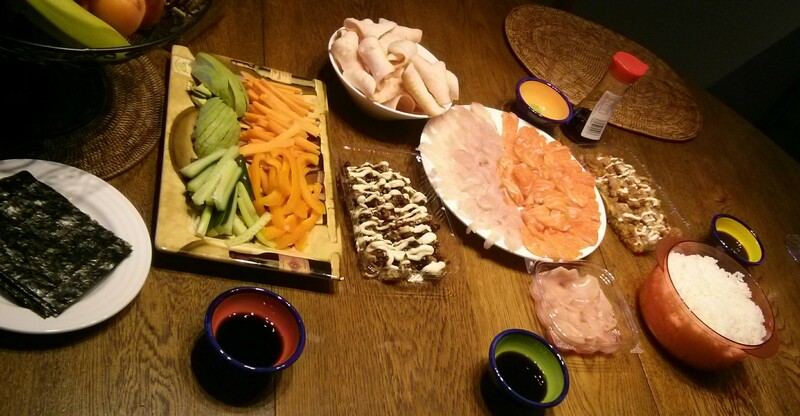 Then it was off to dads place for sushi night: he supplied the fresh sashimi (Salmon & Kingfish YUM) and my job was to bring the rice plus any extra veges I wanted. I love making my own sushi because I find bought sushi always has too much rice and not enough of everything else in the middle. This morning was an early start for a Saturday (much to Liam’s disgust with my alarm waking him up!) 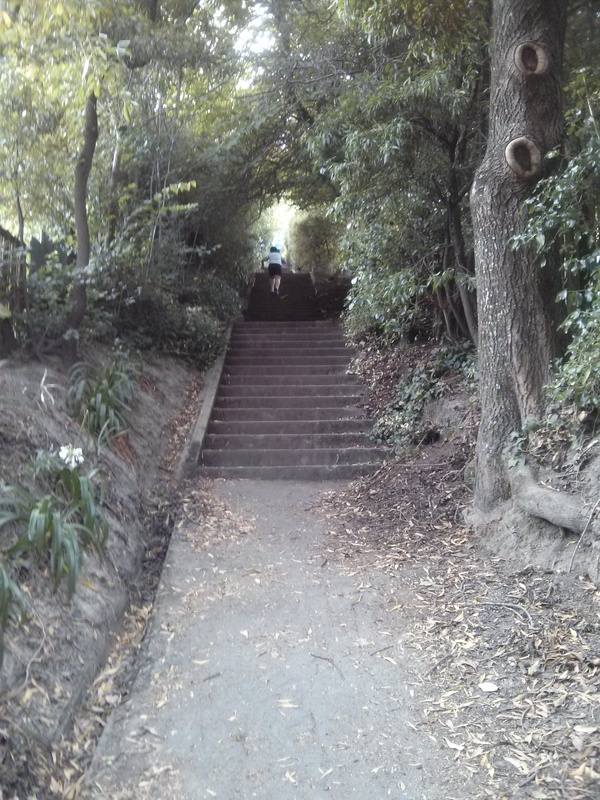 because I was meeting a few other Pumped ladies for a stairs session. These stairs are different from the ones I’ve mentioned in an earlier post but just as brutal. On my last lap of the stairs I counted about 116 steps which is far less than St Martins but they are steeper and have gaps of flat between each set. I was standing at the top of one set of stairs in this pic below, you can’t see all the way to top but it gives you a bit of an idea of what we were up against! Before Christmas I subscribed to some magazines, a couple that I quite often purchase & Runner’s World (I’ve wanted to purchase this before but can’t find it here). 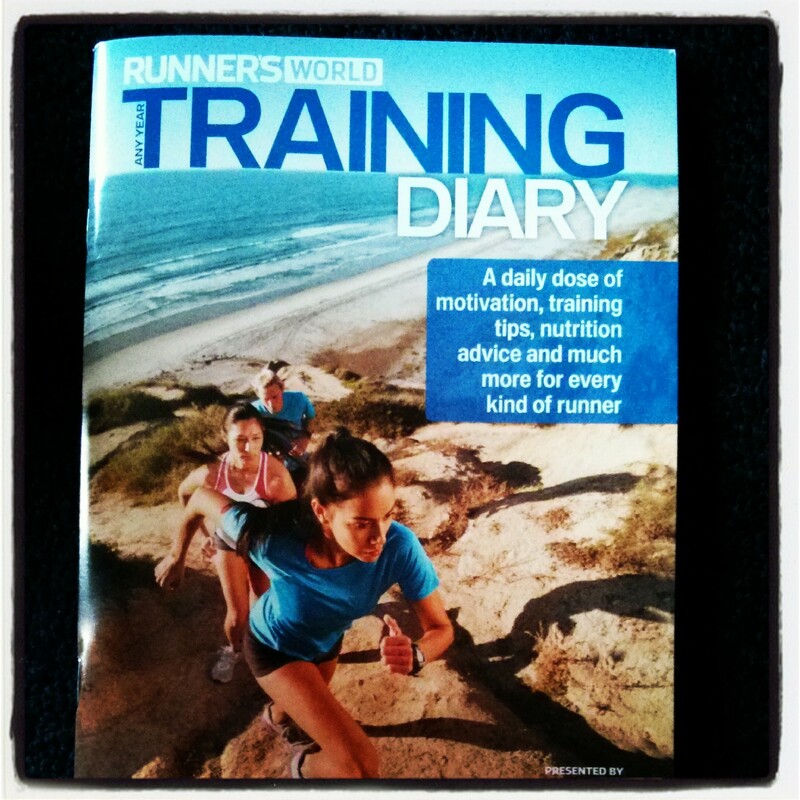 A Free Training diary & some Brooks socks turned up in the post the other day so I also spent a bit of time tonight filling in my first week of training. Really looking forward to the first magazines turning up! 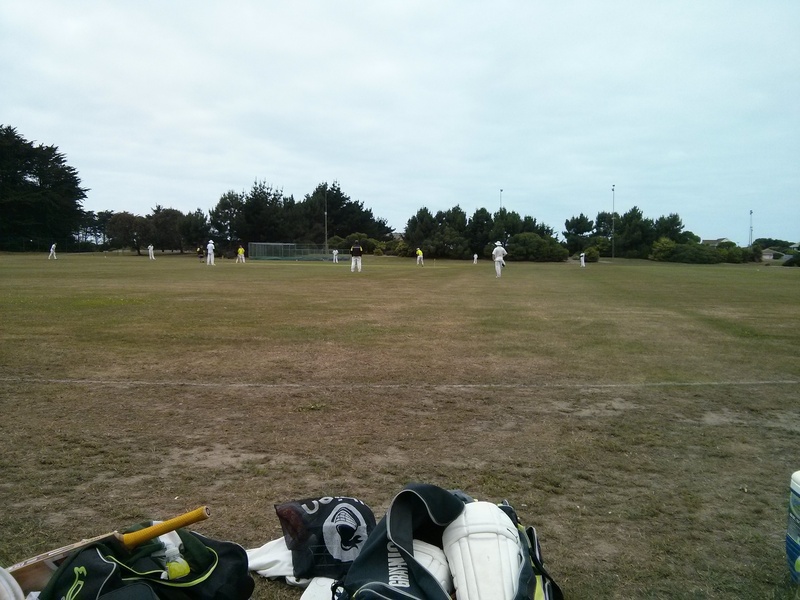 I spent a few hours this afternoon relaxing down at a domain watching Liam play cricket. It’s not my favorite sport by any means but it’s a good excuse to go lounge in the sun for awhile and show my support to him at the same time! Face got a wee bit pink from the sun – always sunblock up even in cloudy weather with a cold wind!! Hey I was kind. At least there were no Burpees! Which there will be next week … Bwahahahaha!